Heart to Heart First Aid CPR Services provides the best and most affordable Red Cross first aid training courses and Red Cross CPR training courses in Halifax, Nova Scotia. Our First Aid and CPR certification courses are conducted at our very convenient and upscale training location in the Dalhousie Student Union Building located at 6136 University Ave, Halifax, NS. Our Red Cross first aid training courses are provincially approved and meet all workplace regulations for certification. All of our courses come with either a CPR level C (adult, child, baby) for the general public or CPR level HCP (for Healthcare Providers). We specialize in Standard First Aid & CPR/AED which is a 2-day course, Emergency First Aid & CPR/AED which is a 1-day course, CPR/AED only (without first aid), which is also a 1-day training course (also known as Basic Life Support – BLS or Basic Cardiac Life Support – BCLS), First Aid and CPR Recertification and CPR Re-Certification which are both 1-day courses. We have been in operation for over 16 years and are recognized and awarded as Canada’s Top 5 Red Cross training partners for several years. We are an “on-site” and “off-site” training facility available to all individuals, groups and workplaces who are interested in obtaining these important lifesaving skills. 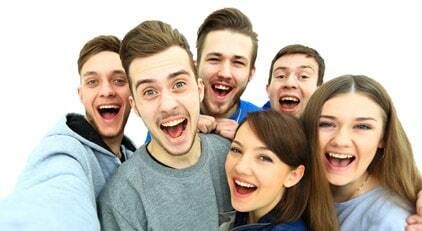 We offer student discounts, group discounts, workplace discounts and we have an amazing “Bring A Friend” discount. Our approach to instruction is interactive, hands-on and enjoyable. Heart to Heart’s excellent instructors are hand picked by the CEO of Heart to Heart. Our secret recipe for delivering a perfect course is instilled in all of our instructors and reflected in our First Aid and CPR courses which are designed to build the confidence to act in an emergency. Our approach to learning is “rescuer centered” which make all of our First Aid and CPR/AED courses really fun, impactful and an amazing learning experience. Our office hours are Monday – Saturday from 9:00am –6:00pm. Contact Us – Call our office and book today or email us at register@heart2heartcpr.com. Dalhousie University is located in the south end of Halifax, about a 15-minute walk to downtown. PARKING: Head to the LeMarchant Place parking lot on South Street, Studley Campus . The lot is pay and display for a cost of $2 per hour or $16 per day.